Fusion, a Taiwanese company, has finally launched their very own MicroUSB Qi Receiver and Qi wireless charger. They have made their products to be neatly integrated into our surroundings. They have sent us review units of their current products and we are excited to try them out! Let’s first have a little preview of the both of them. 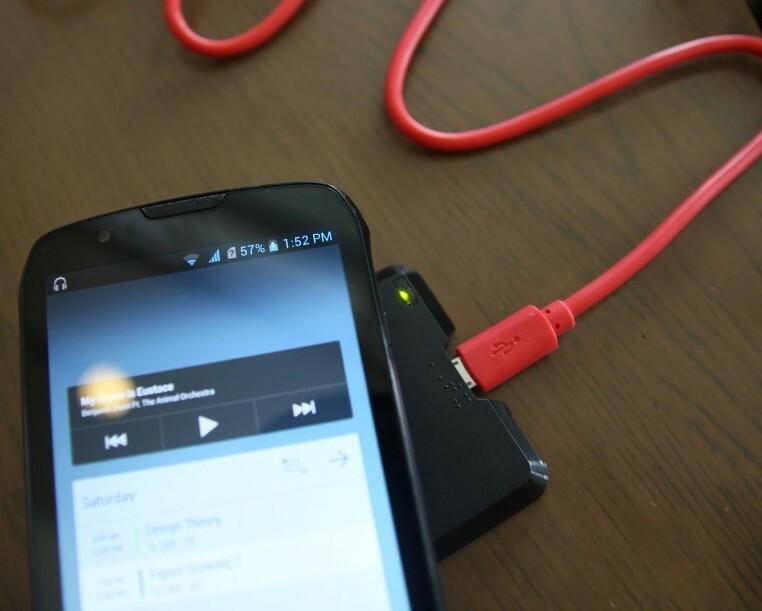 The MicroUSB Qi Receiver from Fusion works just how it is supposed to. 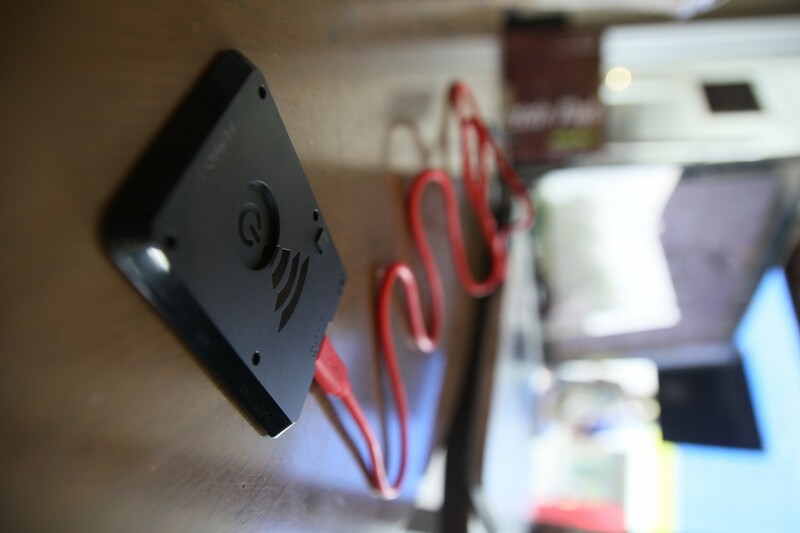 For devices without Qi wireless charging built-in, you may use this to still be able to charge your devices wirelessly. You simply plug it into the microUSB port, stick the back of the receiver to the back of your device and place it on a wireless charger. There’s also an adapter provided to be able to use it on Apple devices. It is not paper thin though, at 3mm thick, it creates quite a bulge, keep in mind though that this is aimed to be for anyone, being a tad bit larger is to make it easier for our visually impaired friends to use it. There is braille on Fusion’s receiver, also for the same reason. Fusion’s wireless charger is quite small and lightweight. It won’t win anyone over based on aesthetics, what Fusion’s wireless charger is capable of doing is something else though. It has an output of 5W for charging your usual smartphone device, but can charge your device twice as far as most wireless chargers. The usual distance a wireless charger can get to is about 5mm, with Fusion’s wireless charger, that is more than doubled at 11mm. This is enough to have the wireless charger under a table and still work. It also comes with a magnet to be placed right in the middle to easily align your device on top of it. 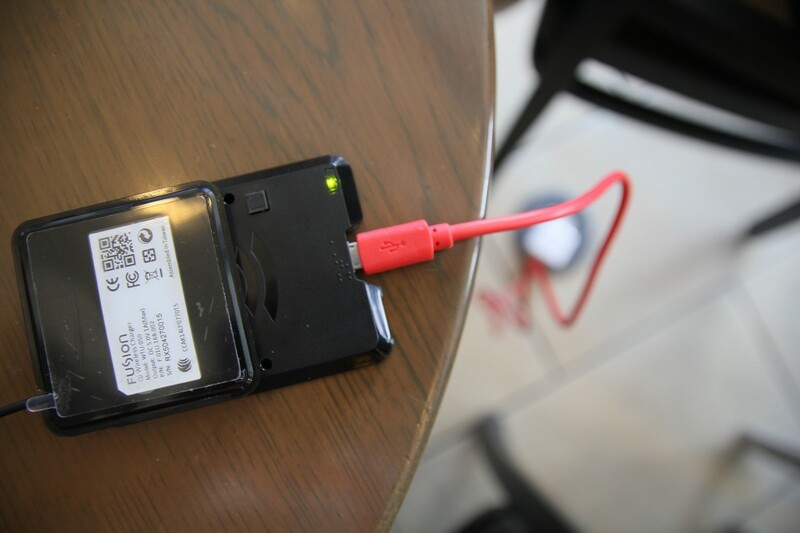 Touted as the world’s first under the table charger, we will be able to test it out and show you during the review. 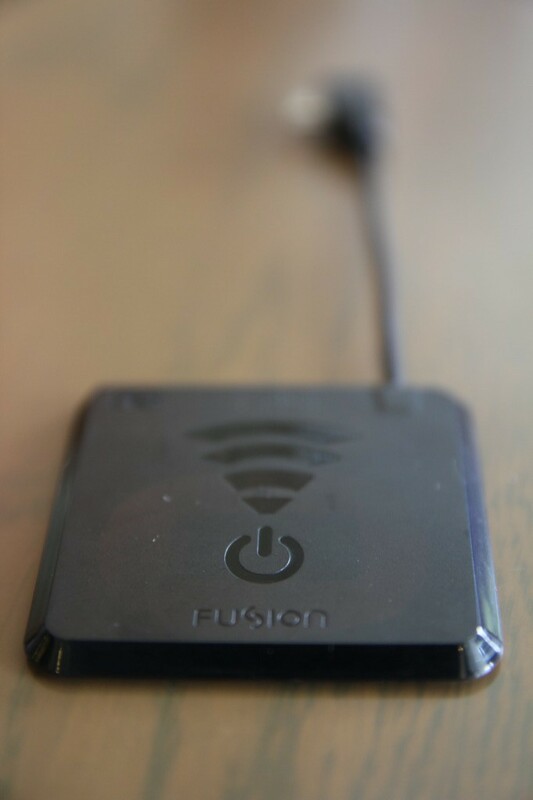 With Fusion taking wireless charging to new heights, we can’t wait to try out their products soon. If you want to give them a go as well, Fusion’s Qi wireless receiver is available for $34.99 while their wireless charger is going for $69.00. They do have a bundled price if you’re getting both for $99, saving you a pretty $5 bill. Head on over to Fusion’s website to check them out. We’ll also have a full review of their products some time soon.